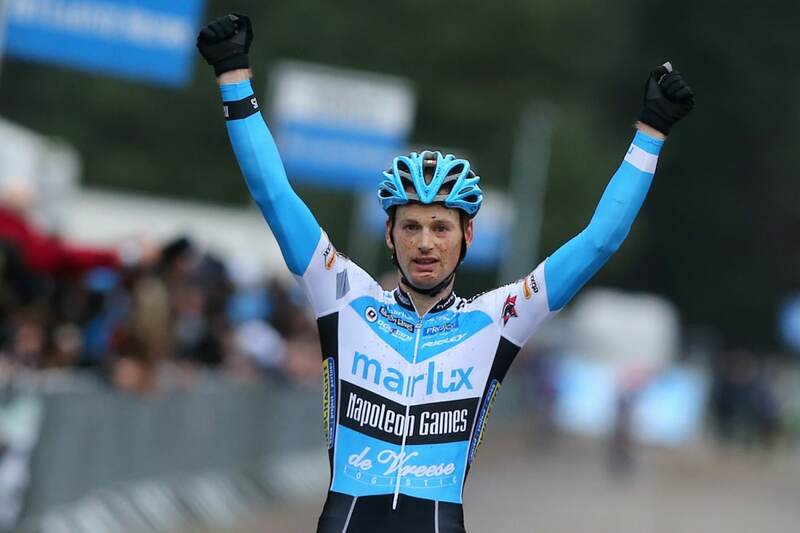 Better this cyclocross season could not stop for Marlux – Napoleon Games. Kevin Pauwels swept the Closing Price in Malle two rotweekends away with the win. The last weeks were not good, but the lock was so much for our team. In which not only the last game of Sven Nys was as a rider, but also the last of Mario De Clercq as team leader Kevin Pauwels missed yet been fully restart. Fortunately for him, kept the game very close in the first half of the race, and Gianni Vermeersch put him down about halfway cross the front of the leading group. What followed: a strong acceleration of Kevin, who decimated the suit first and then also world champion Wout Van Aert, the last opponent, smoothly threw out the wheels. And so the way was his third season victory – his first in the way Malle – wide open. Dieter Vanthourenhout and Gianni Vermeersch, each had done some work for Kevin, still finished ninth and eleventh. Michael Vanthournhout was 26th in the wake of his outgoing cousin Sven. For our promises ended a bad year also depressed: Yorben Van Tichelt and Elias Van Hecke could by not start illness, Thomas Joseph gave up after a warp and Johan Jacobs finally found despite intense pain to finish the mental strength to still his game, albeit far in the background.